BBC Radio Ulster - The Nolan Show, Crunch time in the Stormont talks - have we finally arrived at a make or break situation? Crunch time in the Stormont talks - have we finally arrived at a make or break situation? Breaking news and hard-hitting talk as Stephen Nolan gets you talking about the big stories of the day. Another deadline slipping away in the power-sharing talks at Stormont. Last Tuesday Arlene Foster said a deal must be reached within ten days at the most or there will be a return to direct rule. So today is the deadline Arlene spoke of. But could the real 'make or break' day come as soon as the start of next week? Yesterday it was revealed in the Commons that emergency legislation dealing with the political situation here could be debated at Westminster as early as Monday evening. 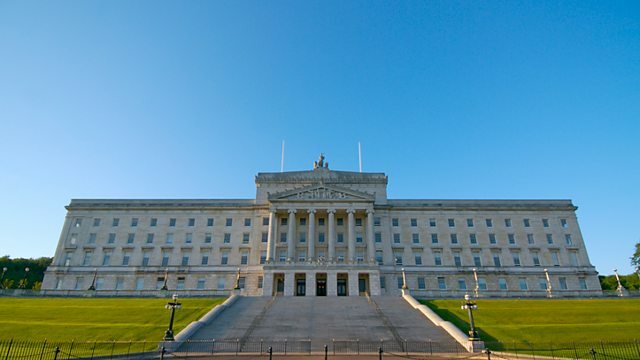 The BBC understands legislation has been prepared for a number of eventualities, including a deal on restoring devolution or the need to approve Stormont's budget via a Westminster act. Vinny got the views of commentators Alex Kane and Allison Morris. This week is prisons week and one of the issues we are looking at is employment for prisoners when they get out of jail. Lots of work is done to rehabilitate and teach new skills to the prison population but, once they have a criminal record, just how easy is it to get work on the outside? Richard Taylor is the Governor of Hydebank Wood College, formally known as Her Majesty's Prison Hydebank Wood. Stephen has been speaking to him and asked him how difficult is it to get employment. Stephen also spoke to Shane and Sara (that's not her real name) who are both currently serving time in Hydebank Wood College and have been given opportunities to work outside while seeing out their sentences.